Veteran musician and song-writer Paul Simon returns with his latest solo album ‘Stranger to Stranger’. The new album, composed over the course of several years, sees Simon utilizing his trademark style with more experimental elements here and there, pushing out an album that surprises more than it would confound. 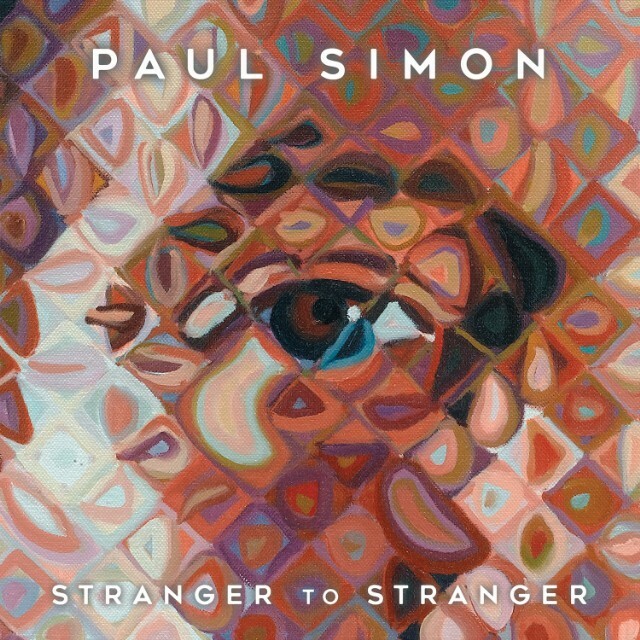 ‘Stranger to Stranger’ offers a gentle pop aesthetic, done so in the way only Paul Simon could ever do, with his calming voice soaring over electronic blips and hand-made instruments. It seems unlikely that ‘Stranger to Stranger’ is the kind of album to be revered as highly as some of Simon’s earlier albums (both collaborative and solo), though it features many merits of its own that makes it an interesting listen. Simon’s strong song-writing style is prevalent throughout the album, interrupted only by the inclusion of short instrumental tracks which help to break up the album somewhat and keep the flow moving. There’s some humour in a few of the tracks, with Simon’s natural story-telling like style coming through once again in great style. As well as this are the more bittersweet tracks, which combines the gentle vocal style with charming instrumentals that accompany in great form. Everything feels very meticulous and intricately designed, with it all coming across as a great effort to really push forward a cohesive album experience. There’s certainly many merits to ‘Stranger to Stranger’, which is certainly a consistent and cohesive album experience. Whilst there are many strengths on the album, it does sometimes feel as though it’s not really enough present here to make a really strong and lasting impression. Everything is certainly charming and nice, but ‘Stranger to Stranger’ seems to lack that real same impact that made Simon’s earlier work so important and notable. It’s definitely hard to argue against the fact that the album is perhaps one of the strongest Simon has put out in recent years, with it certainly showcasing more creativity that some may have given him credit for at this age. ‘Stranger to Stranger’ is certainly a nice album, and perhaps that is all it really needs to be at this point in time. Simon has created some of the most important and well regarded music in his lucrative career, and it’s certainly admirable that there’s not been a clear attempt to just repeat those initial successes, and instead create something that is a little different from the norm. It’s definitely admirable, and ‘Stranger to Stranger’ certainly showcases a great creative style, one that shows Simon is always ready to attempt something new, even at this stage in his life. Paul Simon’s latest album ‘Stranger to Stranger’ is out now. Seven years after the release of his second studio album Arrows in the Sun, singer-songwriter Martin ‘M’ Craft returns with his third studio album Blood Moon. Craft’s latest album sees the song-writer drawing influence from his residence at Joshua Tree, Mojave, using the landscape surrounding him to build up a strong and surprisingly cohesive album experience. Whilst tracks like ‘Dragonfly’, from the singer’s debut album Silver & Fire gave moderate success and airplay, it seems the performer has abandoned those substantial elements in favour of an arguably more experimental and wholly more pleasing format of music. Blood Moon comes across as a strong step in Craft’s repertoire. Whilst previous album from the singer were enjoyable in their own right, featuring many common elements of singer/song-writer albums, there was something arguably lacking in the whole album structure. On Blood Moon though, we see Craft anchoring the whole album together with the use of gentle sparse piano notes, structuring everything into an album that flows beautifully from one track to the next. It’s a different Craft to the one some of us might be used too, but it’s one that’s wholly involved himself into something interesting, utilizing everything in the creation of this particular album. Whilst Blood Moon feels like a more strongly structured album that Craft’s previous works, it does feature the problem of too many similar tracks, mostly in the use of the piano being the general motif of the album experience. This feels mostly apparent in the album’s first half, which introduces everything comfortably, but arguably fails to really deliver for the most part. As the album enters the second half though, we start to see everything really take form, and suddenly the whole album starts to make sense. It’s arguable that Blood Moon is a little too easy-going, or a bit cheesy in places, but the general impression the album itself leaves is one of calming delight. When the tracks work, we’re presented with something rather delicate and gentle, that isn’t trying to be groundbreaking, but is simply another artistic expression. The straying away from his own earlier style that helped to establish his career may alienate the odd few people here and there, but to some, this is a surprisingly strong album, and one that helps shed new light on this song-writer. M. Craft’s latest album ‘Blood Moon’ is out now. Eschewing their early days of progressive rock and psychadelia in favour of more experimentation, One Hour Before The Trip present their latest body of work Boarding Pass. This latest work displays strong promise from the band, who clearly lay out the various formulas and aesthetics that fall into the instrumental rock genre. Whilst certain bands may opt for very specific styles within the broad genre, One Hour Before The Trip seem to be presenting a great multitude of elements, showcasing their strong understanding of the genre as well as their ability to take any leaf out of its book. Boarding Pass presents that new chapter in One Hour Before The Trip’s repertoire. From the offset, we’re presented with promise as the band showcase their understanding of the intricacies of post-rock, before sweeping it away in favour of the intense and bombastic. There’s all the makings of a strong record here, with the focal point being the band’s remarkable understanding of so many different elements of the genre, as well as the strength in which the band present that understanding. It’s apparent that the band are very capable and talented at what they’re doing. Whilst there’s many strengths to presenting a varied album experience, it does come with the problem of it all coming across as a slightly muddled and incoherent album experience. Each track presents something different, and some strength from the band, but as a whole, it doesn’t seem to work quite as well as the band might have hoped for. It’s perhaps a problem we see on a lot of albums, where there’s too many ideas all wishing to be thrown in, and as a result the whole experience feels a little disjointed. Although Boarding Pass suffers from a few faults, it’s hard to deny the strong natural talent present on the record. There’s a clear element of effort and passion that has been thrown into each and every song, and whilst the album experience might feel a little confusing in some respects, the songs themselves can come across as very promising and enjoyable. One Hour Before The Trip seem to have moved into (arguably) more interesting territory on their latest album, and once all the kinks and faults have been ironed out, we’ll most likely see some very promising work from the band. 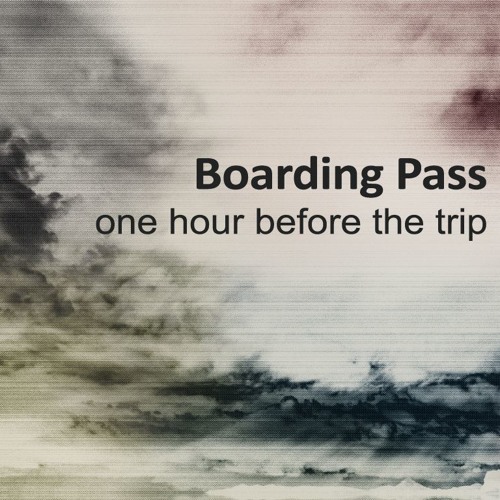 One Hour Before The Trip’s latest album ‘Boarding Pass’ is out now. Through no fault of their own, the popularity of Explosions in the Sky’s album ‘The World Is Not A Cold And Dead Place’ inadvertently helped to create the template used by countless bands all hoping to achieve the same dizzying heights Explosions in the Sky achieved. Through this, we’ve seen Explosions in the Sky refine that sound, creating brilliant albums that only they could ever have done. The band’s latest album ‘The Wilderness’ though seems to show the band starting to take greater creative steps forward, incorporating new elements into their post-rock sound, showcasing the kind of creativity normally seen in bands like Mogwai. ‘The Wilderness’ is quintessentially Explosions in the Sky at the end of the day, but it feels like a more ambitious project than their previous works. With shorter tracks and a bigger variety of them, we see Explosions really tuning into what shapes the overall tracks individually, using that as a template to construct the album itself. It all feels very well refined, with there being more creative flourishes than we normally see on Explosions in the Sky records. Whilst previous albums offer emotional moments through almost aggressive intensity, ‘The Wilderness’ seems to opt more for a reserved and experimental tone, providing heightened emphasis on intense moments. This album feels like a vastly different chapter in Explosions in the Sky’s music repertoire, and it’s likely those expecting essentially more of the same from the band will most likely be disappointed with this release. The tracks are all together much shorter, sounding more similar to the band’s EP release ‘The Rescue’. Whilst the incredibly emotive heights of the band’s earlier work seems absent on this album, there is an emotive layer entirely of its own present, giving the album its strengths and showcasing it as perhaps an important step in the band’s career. It’s perhaps difficult to say whether or not ‘The Wilderness’ works better than its predecessors or not, but it is undoubtedly an interesting chapter in the band’s career, and one that perhaps shows more creativity and promise than their previous album did. ‘The Wilderness’ shows that there is certainly a lot on offer from the band, more-so than what albums like ‘All Of A Sudden I Miss Everyone’ was trying to suggest. It may be a dividing album for most people, but it is definitely an important one, and perhaps one Explosions in the Sky needed to make, lest they end up the terrible rut so many bands have found themselves in trying to follow in their wake. Explosions in the Sky’s latest album ‘The Wilderness’ is out now. When Swans reformed in 2010 with the release of ‘My Father Will Guide Me up A Rope To The Sky’, people perhaps may not have predicted that the band would ultimately start releasing some of the most defining albums of their career. Having released two phenomenal double-albums ‘The Seer’ and ‘To Be Kind’, Swans return with their latest tour-de-force, ‘The Glowing Man’. The new album follows on much from what its predecessors established, offering gargantuan slabs of experimental post-rock that are as cryptic and enigmatic as ever. Once again, this is another challenging album experience that certainly isn’t for the faint-hearted, and one that is rather difficult to really put into words. ‘The Glowing Man’ continues much in the same vein as both ‘The Seer’ and ‘To Be Kind’, with each musician pushing along through noisy experimental tracks where everything is unrelenting yet brilliant. It’s in the uncompromising style that only Swans seem to have that we find what makes the music great. This is truly a head-space only they can create for us, with the result being something confusing yet powerful. Much of the album feels like a true companion piece to its predecessor ‘To Be Kind’, perhaps mostly in part to the similar motifs running throughout both albums (and perpetuated by the inclusion of the ‘Bring The Sun’ intro used on the previous album), but all together much tighter than they’ve ever managed. It all works well in providing a bookend to what is perhaps one of Swans’ most phenomenal and powerful musical chapters. As with many albums by Swans, there is that incredible experimental element that comes with Swans’ music that makes it all a challenging listen. Combining elements of drone into their unique sound, we’re presented with something that occupies the foreground, whilst refusing to let the listener go. It’s all together a somewhat intimidating experience, and one that is truly difficult to put into words. 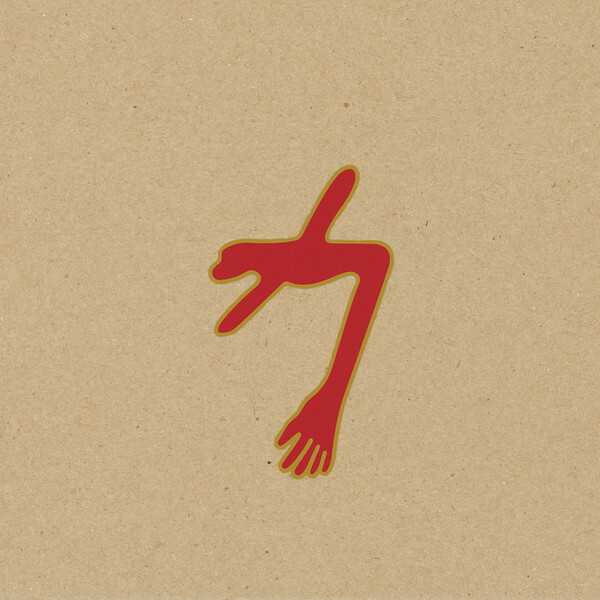 It’s perhaps in this challenging yet unique style that only Swans have that we find the main focal point of many of their bodies of work, what it is that drives the albums along and gives it that quality that is so enthralling. It seemed like Swans were at the height of their creativity with the release of 2012’s ‘The Seer’, and to have followed that album up with phenomenal ‘To Be Kind’ was an impressive feat. It now seems though that Swans have repeated this once again, with ‘The Glowing Man’ being a perfect follow up to its predecessor. Although there’s a great varience in Swans music, from their early no-wave years to their dark alternative rock years in the 90s, it seems that this current wave of music is what they were always meant to do, with it being perhaps some of the best music Swans have ever released. Whether or not ‘The Glowing Man’ signals the end of this current era of Swans or not, it’s certainly great to have seen it all in action. Swans’ 14th studio album ‘The Glowing Man’ is out now. It’s perhaps arguable that the poorly named post-rock genre entered a very rocky patch over the past few years. Whilst some bands maintained their integrity and pushed out phenomenally creative albums that sated the appetites of those drawn into the genre in the first place, other bands simply indulged what was expected, and in doing so created the blueprint of what to copy. Whilst it’s arguable that Russian Circles have fallen into this trap in some respects over the years, it seems that they are one of those bands with integrity, using their own distinct palette to create albums that draw the listener in, showcasing a phenomenal style and brilliant creative streak rarely seen these days. The band’s latest album ‘Guidance’ seems to follow on from much of what the band have established in their distinct repertoire, with Russian Circles utilizing their fusion of post-rock and post-metal notions in the creation of an album that is distinctly theirs. ‘Guidance’ shows the band throwing themselves into that indulgent heavy post-metal sound, utilizing dense heavy guitars and pounding drums that tie the whole album together. 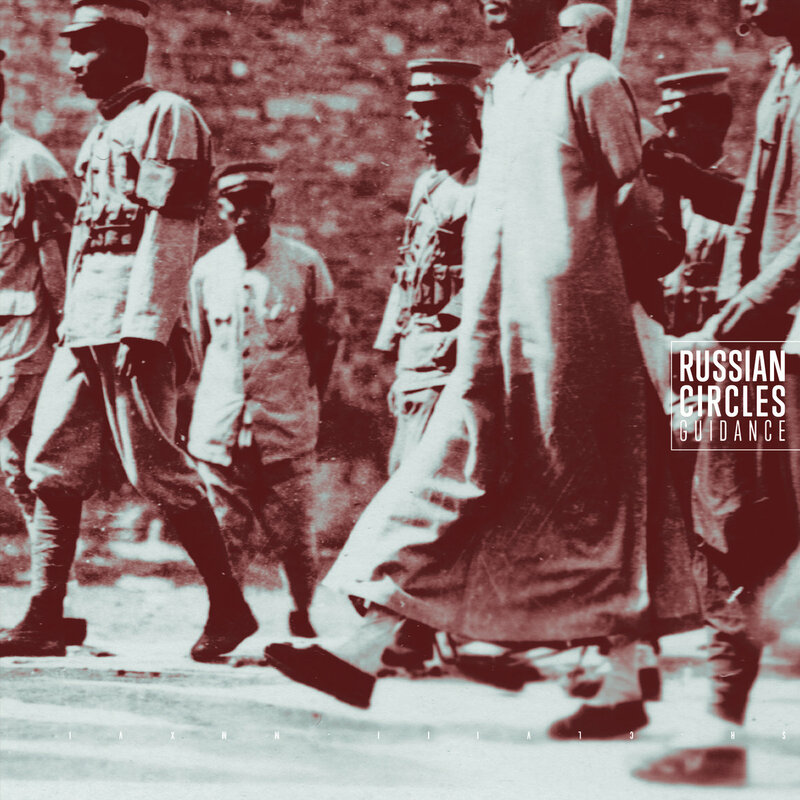 Whilst the heavy moments seem to be the main brunt of the album itself, we see Russian Circles throwing in some moments of restraint, where there’s even some quieter and more reflective moments. Though these perhaps serve as to only place emphasis those heavier moments. Whilst it seems difficult for Russian Circles to capture that same energy and awe first seen on ‘Station’, the band certainly seem to be making strong strides in recent years, notably with ‘Memorial’ which seemed to be a vast improvement on much of their later work. ‘Guidance’ seems to follow on much in the same respect, and whilst it comes across as a strong and enjoyable album effort, it does feel that at times, Russian Circles simply fall back on their old ways, without really doing enough to expand their sound. We see certain hints of new directions being taken on ‘Guidance’, but then it all seems to pull right back into that typical Russian Circles sound. ‘Guidance’ may have a few flaws here and there, but there is definitely a strong and cohesive album experience being presented by the band, who seem to have made a strong follow-up to ‘Memorial’ that is arguably a little better in places. Whilst it might be great to see Russian Circles expand upon their sound a little more than they have done, it’s undeniable that their distinct sound works incredibly well for themselves, with ‘Guidance’ being one of the more stronger albums from the band. Russian Circle’s latest album ‘Guidance’ is out now. Since the surprise upload and subsequent take down of hundreds of tracks to Soundcloud, the fate of Richard D. James’ music has been in question. It seems though that Richard D. James has opted to instead refine some of these tracks into more cohesive forms, one such release being the new ‘Cheetah‘ EP, released under the moniker of Aphex Twin. This latest EP offers various versions and mixes of the CHEETAH track, as well as a couple of versions of CIRKLON which originally appeared on ‘Syro‘ in 2014 (although in true Richard D. James form, barely recognisable from their counterparts and each other). There’s an almost hypnotic and entrancing element to ‘Cheetah‘, which slowly pulses along, dragging the listener into the enigmatic world that only James can create. Anchored mostly by two versions of CHEETAH and two versions of CIRKLON (divided by two brief interludes of CHEETAH), we see James reinterpreting his own work in a variety of different ways, drawing out different concepts and ideas through its presentation. It’s perhaps less urgent and intimidating than some of his other releases, showing more restraint in his approach, though an underlying notion of tension and worry seems to anchor much of the EP together. Those perhaps looking for continuations of some of James’ much earlier works will not find much on ‘Cheetah‘, but those who enjoy simply seeing whatever the hell it is that James’ can conjure up next, as well as just how different his various mixes of his own tracks sound, will find the EP to no doubt be an interesting and intriguing release, and one that perhaps stands comfortably alongside his already varied discography. It’s in ‘Cheetah’s more reserved tones that we find the main strengths of the EP release itself. It’s seems to be more of an improvement on both ‘Computer Controlled Acoustic Instruments pt2′ and ‘Orphaned Deejay Selek 2006-08’ released under the moniker of AFX, which both showed a more experimental side to James’ music, but seemed less cohesive and structured. On ‘Cheetah‘, there is a much more comfortable flow, even with the brief interlude of two slightly more experimental tracks. Once again, we’re shown more of James’ incredibly vast sonic palette, with each new release being delightfully unpredictable. Aphex Twin’s latest EP ‘Cheetah’ is out now. For some people, bands being at the height of popularity are somewhat dismissive, with interest in perhaps being lackluster even for the most creative of bands. It’s somewhat difficult to really see the true nature of something when concerns over money, intent and sincerity cloud the creative work in question. These days it’s incredibly easy to become jaded and cynical to the music industry, but at the centre of it all, music is simply another art form, of which just about anything can form an emotional connection with anyone. Sure, some music fails to do just that, but when it does, the effects can sometimes be indescribable. Radiohead’s latest album A Moon Shaped Pool, has certainly generated some of the most interesting discussions out of any album of theirs. Many fans and critics all seem desperate to dissect the work, make their own opinions and theories known to all, which is perhaps something Radiohead does best. Some people believe A Moon Shaped Pool to be the best of Radiohead’s albums, whilst others simply see it as an improvement on 2011’s The King of Limbs. What’s more interesting though is how everybody is right in their own little way. For this reviewer, tracks like ‘Decks Dark’, ‘The Numbers’ and the oddly named ‘Tinker Tailor Solider Sailor Rich Man Poor Man Beggar Man Thief’ all came across as some of the most interesting and creative tracks the band have put out thus far. For others, this may not be the case, and instead tracks like ‘Present Tense’ and ‘Identikit’ form the basis of joy for the album. The way this album has come across to so many people really stands out as a testament to the album itself, showing how our differences don’t really mean anything at the end of the day. One of Radiohead’s greatest strengths is in how their creative works simply connect to each individual in its own little way. For this reviewer, A Moon Shaped Pool came across as something brilliantly unnerving, heart-breaking and beautiful. An album where that first listen was something phenomenal and fairly emotional. That emotional connection was there from the very beginning, and held on in so many ways as it morphed and shifted with each track on the album. There’s a power here, and whilst it might not come to all those who listen to the album, it has definitely come to some fans of the band, each in its own different way. It can be easy to hate on certain people in the music industry, and to fans of those, it can feel discomforting to see that artist or band being berated in some way. It perhaps feels frustrating that whomever is saying these things simply doesn’t understand your way of thinking. Perhaps in these situations, it’s best to just let it all be. If music has formed that connection with you, why should someone else’s opinion make that any less powerful? For myself, Radiohead will probably always be one of those bands that will stick with me throughout the years, with A Moon Shaped Pool being another album that stands out in their impressive discography. That’s something that nobody can take away from me. Radiohead’s latest album ‘A Moon Shaped Pool’ is out now. If The Pineapple Thief’s 2014 album effort Magnolia saw the band finding a distinction in their sound, which in turn resulted in a strong and cohesive album experience, then the band’s latest album Your Wilderness is the progression of just that. The Pineapple Thief’s latest album experience shows the band having really pushed forward their new skills in song-writing and performance (helped no least by ex-Porcupine Tree’s Gavin Harrison, whose production skills on the album help shape much of the experience itself). Your Wilderness feels like a band who know exactly what they want to do, and know how to achieve just that. Having established something great on Magnolia, Pineapple Thief have taken that template, and pushed it even further, creating a highly successful follow-up album that arguably stands on the same grounds (if not succeeds it). Your Wilderness shows remarkable progression from a band who had already demonstrated progression, and are now beginning to perfect their latest achievements.. Each track on the album contributes to the overall picture being painted by the band, and whilst certain moments on the album may feels a little lackluster in terms of energy, it feels important and necessary in presenting this overarching story-line. It seems rather than relying on old standard techniques within the genre, The Pineapple Thief have instead opted for more restraint, which in turn give those more urgent moments more emphasis. With this new level of excellence The Pineapple Thief are now demonstrating, the standard of what the band are now pushing out seems to place them at the forefront of modern progressive rock music. Your Wilderness simply ticks the boxes of what makes a strong and enjoyable album of this caliber, with it arguably sounding a little less pretentious than other artists in the foray of the genre. Though this is perhaps one of the strongest and most promising of The Pineapple Thief’s body of work, it does seem to have come with a loss of the band’s earlier more experimental roots. (Though conversely, confusing and tiresome dirges have now turned into the structured and enjoyable). Whilst there was much to enjoy from The Pineapple Thief’s earlier bodies of work, it seems the band have started to hit their stride, and are now in the process of producing some of their best albums. Much of the work the band have thrown into this album seems to have really paid off, with it coming across as one of the strongest albums of their entire repertoire. Whether or not it overtakes life-long fan’s personal favourites is their own business, though it is undoubted that this is a highly interesting chapter in the band’s history, and one can only wonder where they’ll take themselves next. The Pineapple Thief’s latest album ‘Your Wilderness’ is out now. Following the announcement that guitarist John Cummings would be leaving the band, the future of Mogwai’s music seemed a little uncertain, mostly in part to the phenomenal input of Cummings himself, who helped shaped so much of Mogwai’s music. 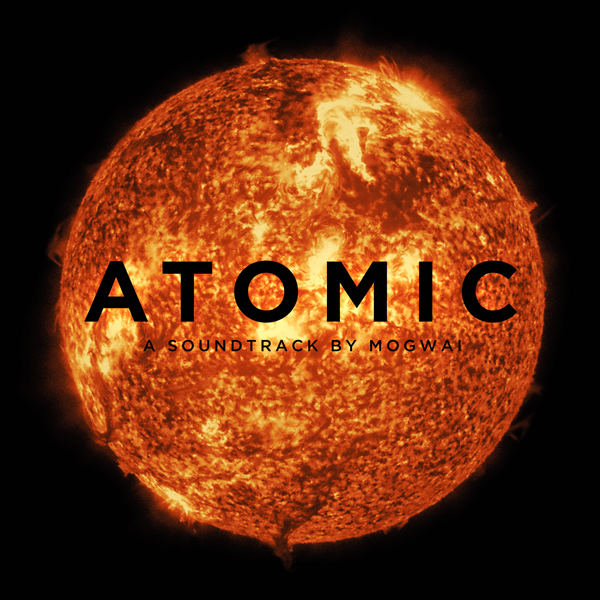 However, any fear can easily be laid to rest, as the release of ‘Atomic’, a soundtrack by Mogwai, shows incredible promise from the Scottish post-rock band. The soundtrack, conceived for film-maker Mark Cousin’s documentary Atomic: Living in Dread and Promise, works well in context of the source material, but remarkably so, works incredibly well as simply another Mogwai album, and one that really stands out in their already eclectic discography. Many of Mogwai’s releases seem to introduce new elements here and there, showcasing the band as one willing to expand their own capabilities. ‘Atomic’ is no different in that respect, with the album featuring some of the band’s most interesting work to date. Everything perfectly encapsulates the themes of atomic war, with some tracks capturing the essence of nature’s beauty, and others the sheer terror and panic of nuclear war. Though at times, a somewhat challenging listen, there’s many moments that stand out brilliantly, sounding just about as strong as any particular fan favourite. Certain tracks on ‘Atomic’ may be raise an eyebrow or two on some Mogwai fans, notably on tracks where the standard notions of post-rock seem to have been thrown out of the window. It’s perhaps here though we see the real strengths of Mogwai as a band, who refuse to let the standard notions of the post-rock genre restrict them from interpreting the source material in their own way. The result is an album that perhaps pushes the boundaries of post-rock just that little bit further, showing us that there is more that can be done with the genre if one is only willing. It’s one to make a soundtrack that perfectly fits the film it’s supporting, but it’s something else entirely when that soundtrack also works well as its own stand-alone release. There’s a phenomenal power and energy to ‘Atomic’, which shows Mogwai still hitting those amazing strides that only they can do. Whilst the absence of John Cummings is somewhat disappointing, it seems that the rest of the band-members have all pushed themselves even further, showing they’re still capable of making some of the most incredible instrumental rock music in this day and age. Mogwai’s latest album ‘Atomic’ is out now.